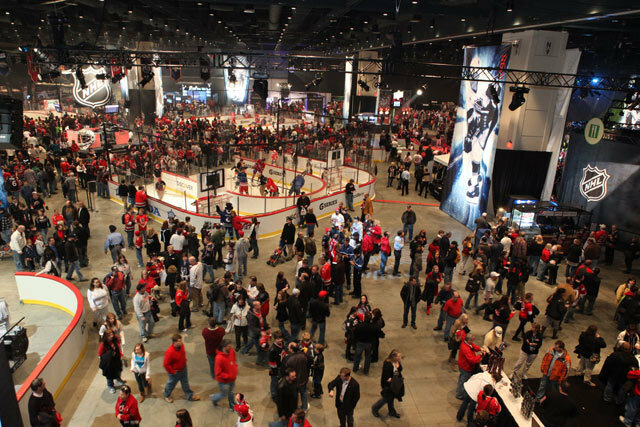 One of the great things about the NHL All-Star Game is the Fan Fair that takes place. Full of interactive games and exhibits, it gives the fans a chance to participate and experience some of the fun surrounding the All-Star Game weekend. There are the typical events you'll find: test your accuracy with the Bridgestone Shootout, Create Your Own Hockey Trading Card presented by Upper Deck, and the always classic Bubble Hockey at the Molson Canadian Hockey House. However, if you find yourself bored with these same old interactive attractions, there are some fun underground events in the basement of the Ottawa Convention Centre. Dustin Penner will hold a Pancake Eating Contest for any fans that want to compete against him. There is only one stipulation - his wife has to make the pancakes. You probably haven't tested your vertical leap since high school, so why not see how high you can jump compared to the best? See if you can beat Alexander Ovechkin's vertical leap! Famous for their classic hockey cards in the early nineties, you too can create your very own 1990s Upper Deck hockey card with some of the props used in their Be-A-Player photoshoots. Sit on a chair backwards, sit on a motorcycle, and cuddle dogs - all things that have nothing to do with hockey. Ryan Kesler will be doing an interview in this exhibit for 5 straight hours. 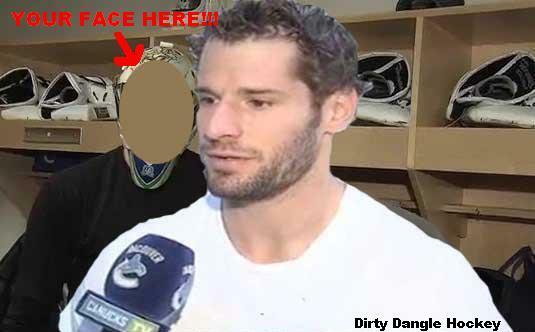 Feel free to walk by and poke your head in the picture to photobomb the best lurker in the NHL! 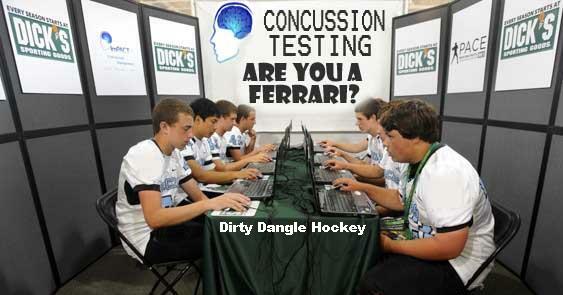 NHL Doctors will administer you an ImPACT concussion test and other neurophysical tests to measure your cognitive function. 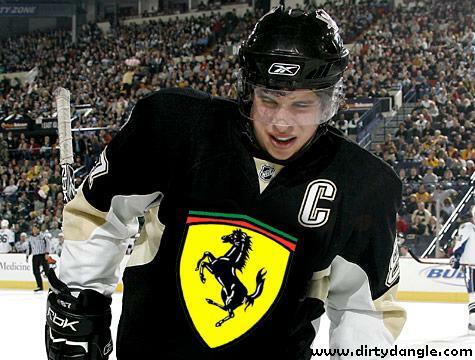 See if you are a Sidney Crosby Ferrari! 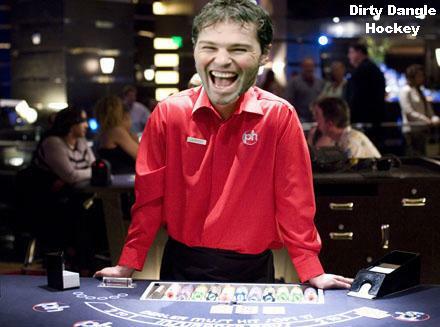 Play the popular casino game with one of the NHL's all-time greats dealing to you! Other rotating dealers will include Janet Gretzky and Rick Tocchet. "Are you sure you want to hit?" "Haha! BUST! Debt with Caesar is off like handlebars!" 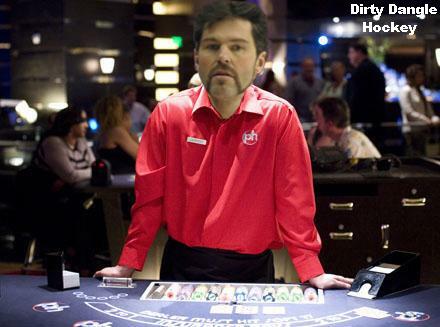 How much did Jagr owe again in gambling debts? I wouldn't call myself a Ferrari, maybe more of a Honda Civic.